Rish's Ramblings: Christopher Lee R.I.P. When I was a boy, Channel 20 would have their "Thriller Theater" show at three o'clock on Saturdays. This was the first time I saw the Godzilla movies, the Roger Corman Poe films, and the Hammer Horror movies. 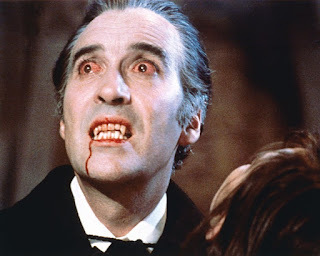 My first Dracula was not Bela Lugosi (though I was aware of him, but of course), but was Christopher Lee. Those Hammer Dracula films are pretty uneven today (including the unofficial one Jess Franco did in the Seventies), but as a kid, THAT was Dracula. I remember being particularly fascinated by the one called DRACULA: PRINCE OF DARKNESS, but that's just me. I don't know if my buddy Jeff loved those movies as a kid or not, but he sure does now. In fact, the most expensive present I ever got him was a twelve inch Christopher Lee Dracula figure with soft goods clothing and a cadleabra. He keeps it above his work computer. Well, Christopher Lee is gone (June 8th). But he had an insanely good run. Of course, that's not all. THE WICKER MAN. He was one of the bright points in 1941. THE MAN WITH THE GOLDEN GUN. 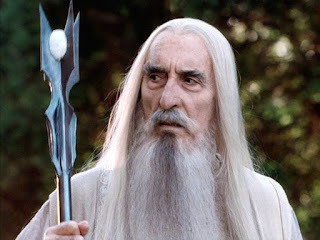 Saruman in those wonderful "Lord of the Rings" movies (including the third one, if you got the extended cut). SLEEPY HOLLOW (as well as other recent Tim Burton flicks). Heck, he even lent a bit of class and gravitas to the two Star Wars Prequels he was in. He lived to be insanely old (ninety-three. 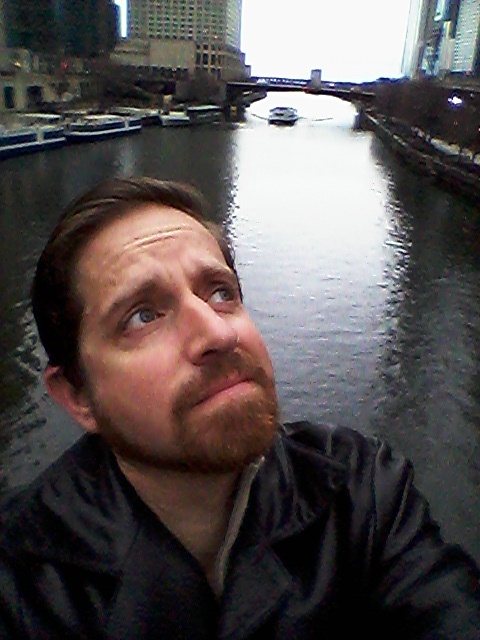 Dude, I'm not gonna live to be seventy-three), and thrilled three generations of movie fans (at least). Not bad for a vampire/wizard.